IDEO's DesignsOn Challenge was established to tackle big, complex questions and inspire those around us to see challenging issues from new perspectives. The speculative design exercises approach a broad topic annually, which is then broken down into smaller, more focused topics. This year, leading up to a fraught presidential election in the United States, the main theme was Citizenship. At IDEO.org, we chose to address how this applied to Identity, and more specifically: "An exploration of how we are defined by geopolitical structures and how we relate to them." Syrian refugees are subject to some of the strictest background checks and security screenings before they are allowed to enter the United States. At IDEO.org, our questions became: How might we make them feel more at home upon arrival in the U.S.? What if we could transform a Syrian refugee's first experience of America from intimidating to comforting, by greeting them in their new home with a small collection of familiar foods and spices? 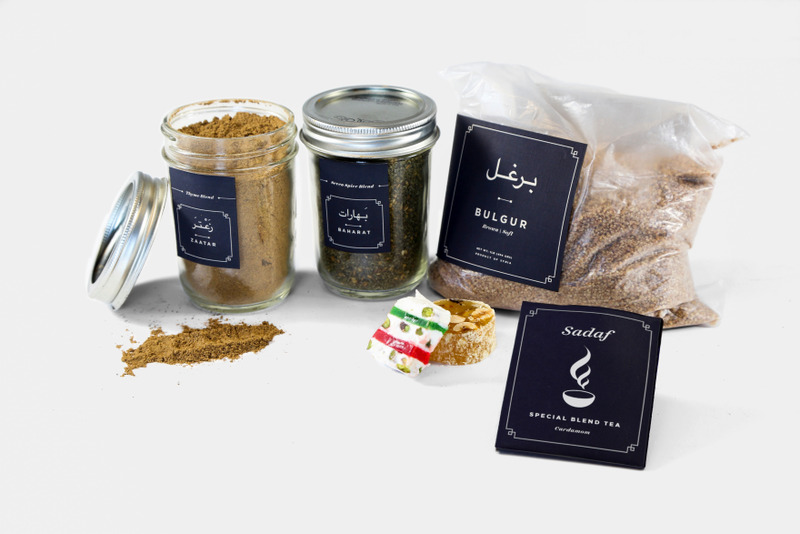 A Taste of Home is a welcome box we designed for Syrian refugees: as they begin their journey to realize a new future, we gift them with the home-cooked flavors of their past. Each of the ingredients in the box is labeled in Arabic as well as English, and contains the addresses of local markets where new citizens can find these essentials. The campaign would be sponsored by American citizens who are looking for ways to welcome and show their support for refugees looking to rebuild their lives in a new country. While our passports and flags define one facet of our citizenship, the prospect of an increasingly borderless globe connects us around the world. A Taste of Home was designed to spark imagination, exploration, and dialogue about redesigning the first impression Syrian refugees have when entering the United States.